Episode 110 starts off with a whimper but quickly roars to life! NBPC Attorney Michael Baranic joins Shawn Moran, Art Del Cueto, and Chris Cabrera to give shout-outs and legal interpretations on use of force and other topics. Listen to the radio show on KVOI this Sunday at 7AM. This is by far one of our funniest episodes yet. Listen carefully to Chris Cabrera's one liners that he drops throughout the conversations. 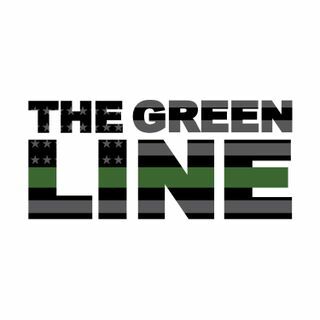 4:00 Thanks to Andrew Wilkow and Ian Scotto for repping The ... See More Green Line. 40:52 15:13 Holsters Always Carry Your Club When You Leave The Cave!